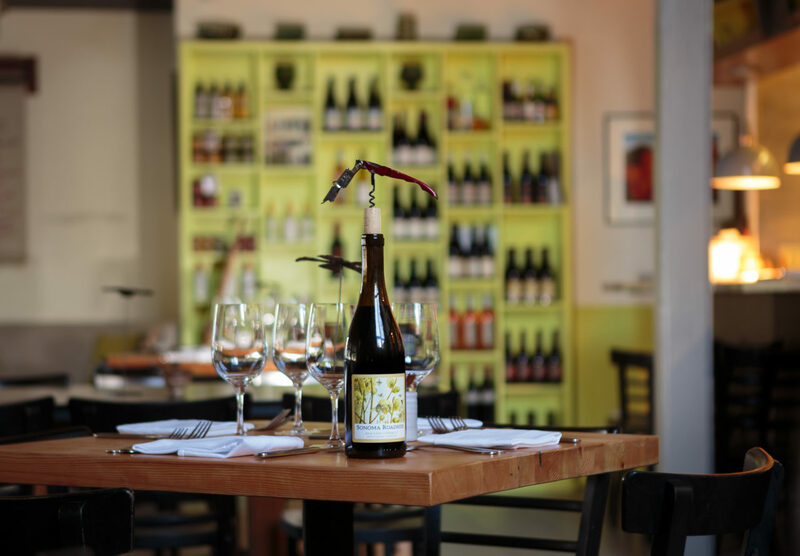 Given that chef Rob Larman’s charming little Cochon Volant BBQ eatery in Sonoma is an order-at-the-counter spot with just a handful of tables, it’s surprising to find a wine list here. 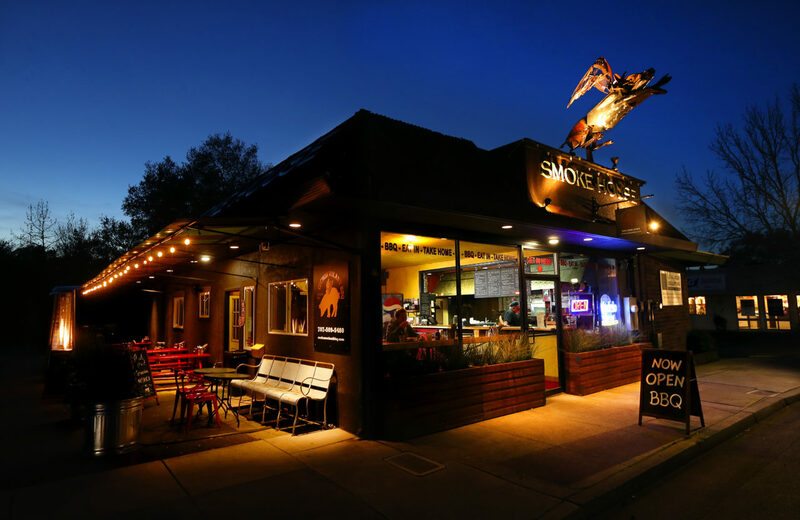 But then, this is Wine Country, where we do expect the opportunity to sip a nice Estate Grown Sonoma Valley Dunbar Zinfandel with our $23.95 combo plate of smoky ribs, tender pork shoulder, brisket and spicy sausage. More surprising, perhaps, is that we’re welcome to bring in our own wine, and enjoy it for free. 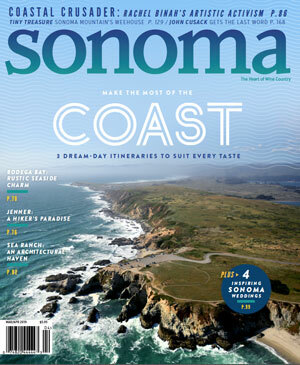 But then, this is Sonoma County, the land of grapes, where many of us maintain home wine cellars and consider the drink as necessary to life as water. 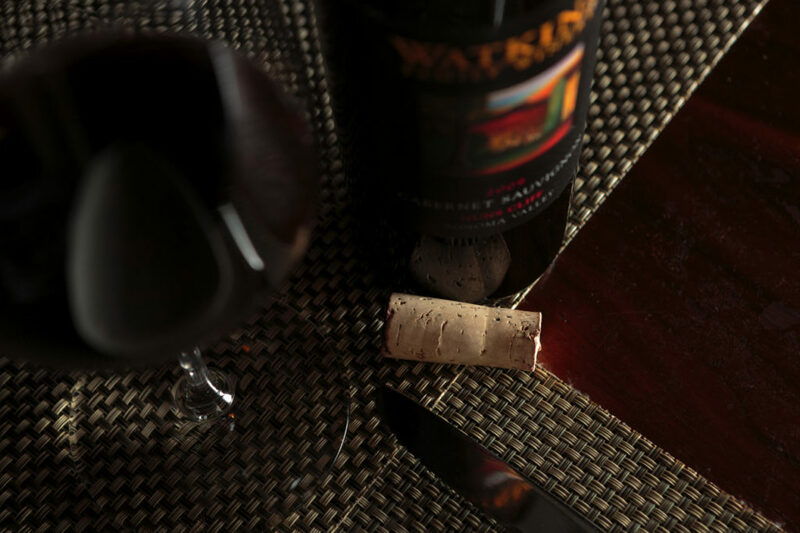 In our region, many restaurants graciously waive the corkage fee for opening a bottle of wine, in what can often be a very happy discovery for visitors. Some guests like it because they have a special wine they want to enjoy, while others simply want to save money. It’s a perk that many local restaurateurs have noticed diners asking about more and more. And while nationwide the practice of bringing your own bottle and waived corkage fees is mainly popular with smaller establishments lacking liquor permits, in our parts, it’s becoming commonplace at upscale destinations, too. 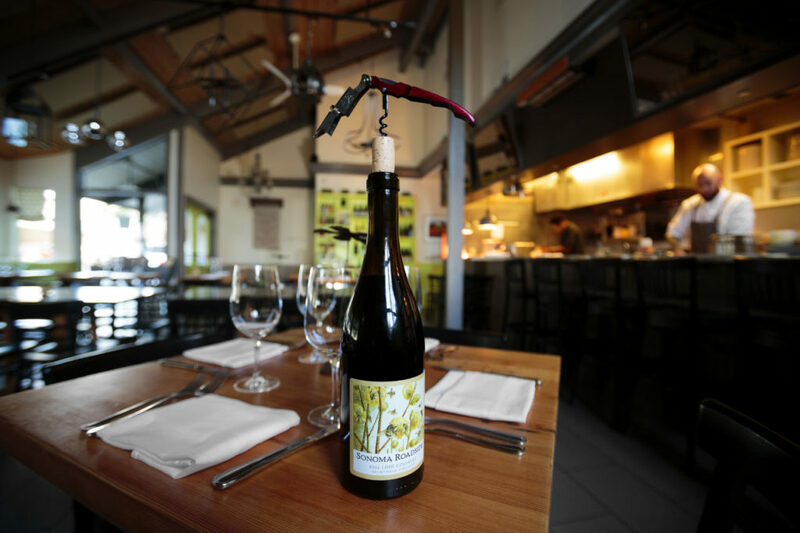 Think celebrity chef Charlie Palmer’s Dry Creek Kitchen in Healdsburg, which, since opening in 2001, has offered complimentary corkage on the first two 750 ml bottles of Sonoma County wine per table. This, while Thomas Keller’s famed Per Se of New York charges $150 a bottle. “Here in Sonoma County, we really value our resources,” says Dry Creek Kitchen wine director Jeff Creamer. “That’s not to say that other wine country regions don’t, but I find that the dedication here is incredible, and we want to share that with everyone that comes into the restaurant. 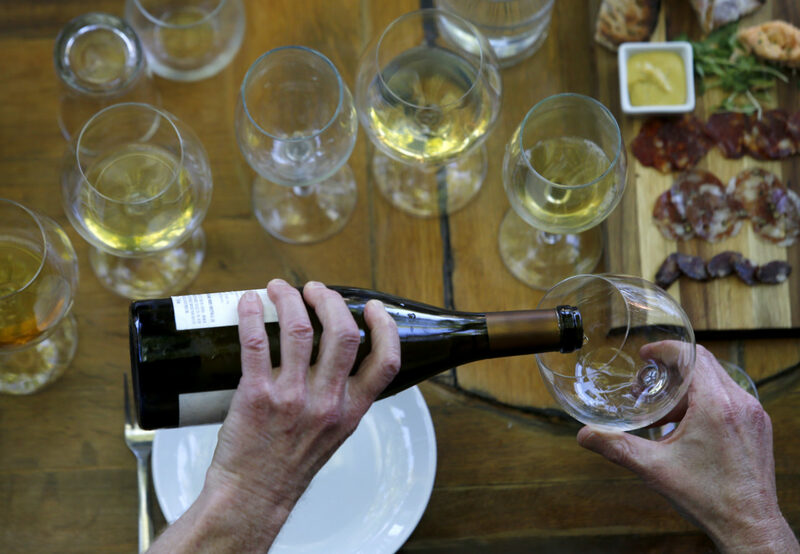 At the fig café & winebar in Glen Ellen, 70 to 80 percent of guests take advantage of the free corkage, says owner Sondra Bernstein, who as another amenity doesn’t limit the number of free bottles enjoyed per table, as long as guests keep their consumption reasonable. That’s despite the fact that she is well-known for her talent in crafting superb California produced Rhône-style wine lists at her several culinary businesses and now owns her own wine shop in Sonoma. 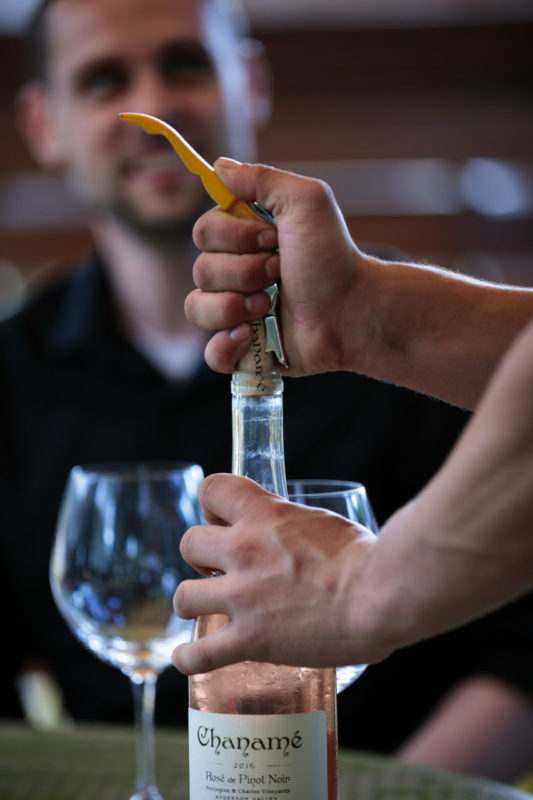 While not charging for the simple task of opening a wine bottle and providing glasses seems minor, for restaurants, it can severely affect the bottom line. Many restaurants mark up their wine costs as much as 300 to 400 percent, making wine sales a critical support to running expensive businesses. Why would a restaurateur give up such high-margin profits? She also hosts local winemakers at the cafe on Wednesday nights, who pour tastes of their wines from table to table. “It’s very fun and educational, and we even sell some of their wine because of it,” she says. For Sonoma resident Henry Miller, the no-corkage amenity is just another incentive for his family to frequent what he calls “our favorite restaurant anywhere.” He always brings in his own wine, for his visits at least twice a month. At Railroad Station Bar and Grill in Cloverdale, owner Jangbu Sherpa offers complimentary corkage on Sonoma County wines, and has found his generosity actually boosts his profits. 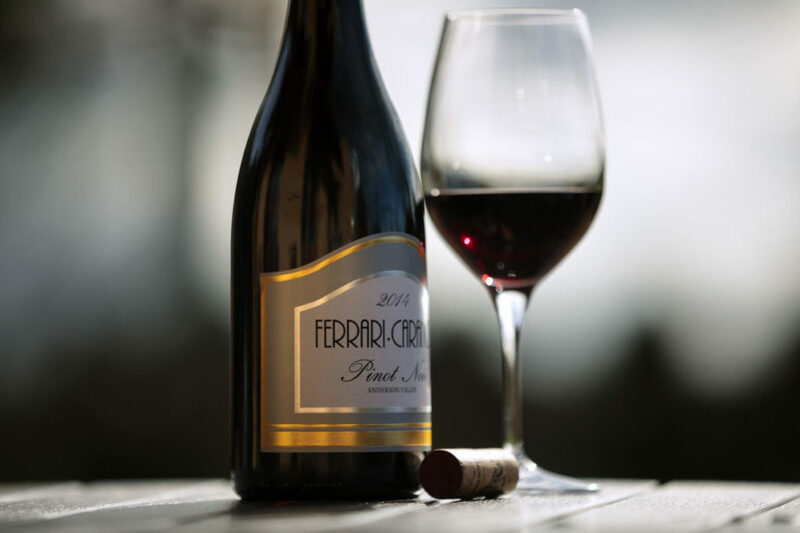 Such a partnership is a win-win idea that wineries can get behind, too, as evidenced by the Culinary Cooperative program initiated by Winegrowers of Dry Creek Valley four years ago. 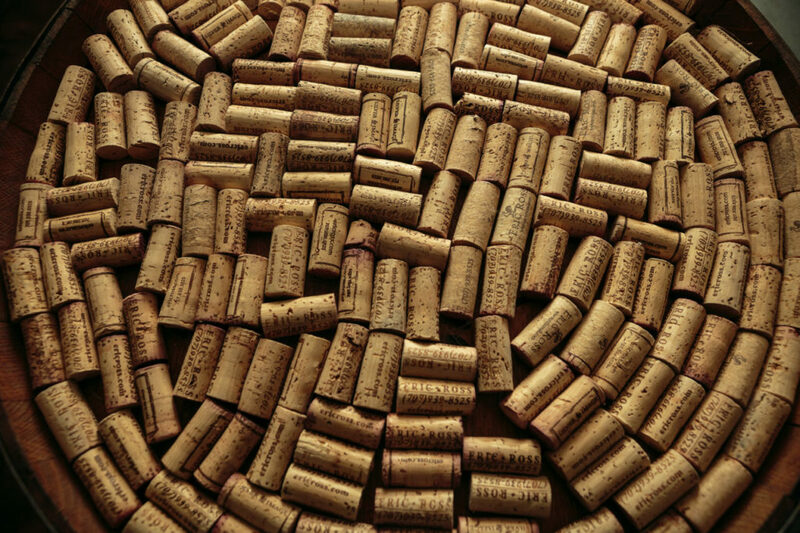 Customers purchasing a bottle at one of the organization’s 60plus wineries receive a voucher for complimentary corkage at participating Healdsburg and Geyserville restaurants, including big names like Healdsburg’s Barndiva and Michelin-starred Madrona Manor. He also tries to honor the restaurant’s business model, by not relying strictly on BYOB. Other Sonoma County restaurants offer free corkage on specific nights of the week, partly to boost business on typically slower evenings, but also as a way to thank what’s mostly a neighborhood crowd for that time slot. “Mondays are a very localdriven day, and we wanted to show our support to the wineries and guests that support us year-round,” says chef-owner Daniel Kedan, who has featured the free corkage evening since opening his Backyard restaurant in Forestville in 2012. About a quarter of his Monday customers BYOB, he noted, with many guests being area winemakers bringing wines from around the world, and often sharing them with other diners. It makes for a convivial atmosphere, Kedan says, and ultimately, the payback is priceless.